This article first appeared in The Edge Financial Daily, on June 20, 2017. KUALA LUMPUR: The Royal Malaysian Customs Department has cancelled a plan that would have seen more than 60 food items being slapped with the goods and services tax (GST) from July 1. The decision was made after referring the matter to the finance ministry, Customs said in a statement yesterday, without providing any reason. “Just take it as a cancellation,” Customs director-general Datuk Subromaniam Tholasy said when contacted over the phone by The Edge Financial Daily. He did not elaborate as he was attending a meeting. The affected food items — which the authorities say are generally not consumed by the masses — include eel, swordfish, corn, frozen vegetables, imported fruits (avocado, apricot, grape, cherry, peach and plum) and margarine. Media reports had said that these items, which are currently in the list of zero-rated goods and services, will be imposed with the 6% GST from July 1. This follows the finance ministry’s move, on June 6, to publish on the Attorney-General’s Chambers’ website an order to amend an earlier order made in 2004 listing out items categorised as zero-rated under the GST regime. Second Finance Minister Datuk Seri Johari Abdul Ghani was to have presented the new order at the next parliamentary meeting which starts on July 24. (The GST Act 2014 confers powers to the minister to make such amendments after implementation). UOB Malaysia senior vice-president for global economics and markets research Julia Goh noted that it is never easy to introduce changes that affects the public. “As part of the government’s continued efforts to consolidate the fiscal position, the government will explore areas for revenue enhancements and cost management,” she told The Edge Financial Daily, when contacted. “This (extending list of GST-imposed items) is perhaps one of the measures. However, the government will also have to balance the need for fiscal reforms with managing the rising cost of living and safeguarding economic growth,” she said. “From the policymaking standpoint, it is always better to introduce reforms and change from a relative position of strength or when economic conditions are better,” she said. 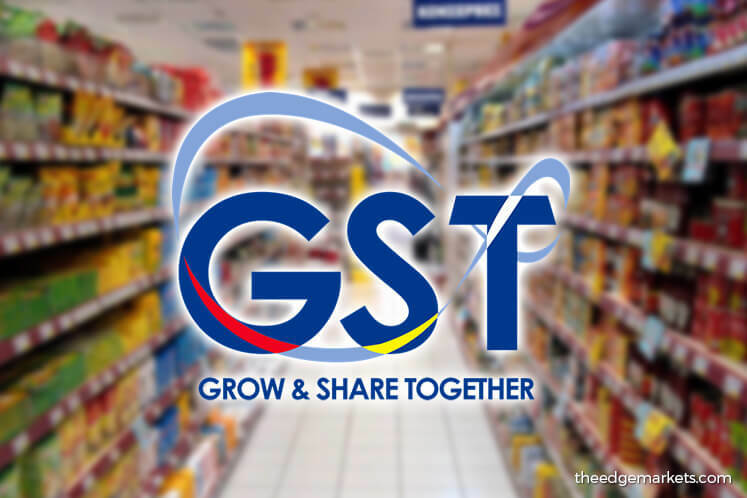 Goh pointed out that GST collection has surpassed the government’s initial target. “I don’t think it’s that the government isn’t collecting enough GST. In fact, GST collections have surpassed targets partly due to higher number of companies registered,” she said. “Several tax experts have commented when Malaysia initially announced GST that there were too many exempted items. This led to the opportunity cost of collecting additional RM10 billion in GST revenue,” she added. RHB Research chief economist Lim Chee Sing said that if the Customs proceeded with their plan to amend the list of zero-rated items, consumer sentiment would be affected in the short term. “It is not easy for the government to raise the GST percentage since it was only implemented back in April 2015, so [reducing zero-rated items] is one of the avenues to broaden the GST coverage,” he explained. “If you look at government expenditure, it is still rising, especially operating expenditure (opex). This is obviously not sustainable since most of the government revenue is used to finance opex while development expenditure is financed by borrowings,” he said. “So the strategy moving forward will either be cutting opex or increasing borrowings, but cutting opex may affect the 14th general election. While the government wants to consolidate fiscal deficit, they may look at broadening the tax base. As you can see they are improving tax collection efficiency and (are implementing) the new tourism tax,” he added.